I originally posted the Spicy Orange Chicken recipe on April 24th and last night we enjoyed it again for supper. 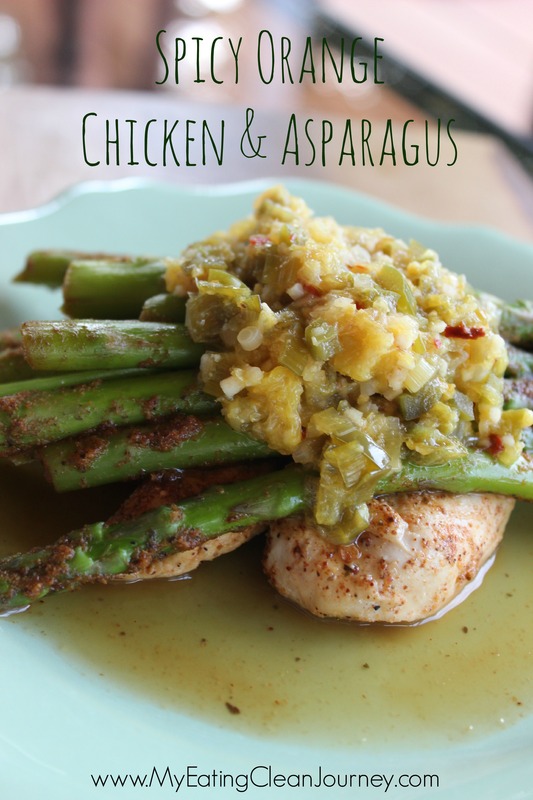 This time I included asparagus with it and added in a chopped jalapeno (may not be on your particular protocol for the Omni Drops). This morning I’m on R3P2D10 (My 3rd round, phase 2, on day 10) and I’m down 11.2 pounds. Last night I had a little slip up. What is it about going for a ride on a beautiful summer evening that makes you crave a soft serve ice cream? I broke down last night and enjoyed one. It was so good. Ice cream is my biggest weakness and it’s what I crave all the time. I haven’t found a good substitute but would love some suggestions. Right now the only way to not give in is to just not go for our evening ride to enjoy the sunset on the lake. Oh, and I did see a frozen yogurt/ice cream recipe using greek yogurt on Pinterest that got rave reviews. Never tried it myself though. No slips only moderation. The minute we tell ourselves we cant have something only makes us want in more. The result is usually a binge. I know you are going through a protocol right now, but you can’t be hard on yourself. Look at the amazing amount of weight you lost! And you are making positive changes! Thank you for linking this recipe at the Yuck Stops Here. 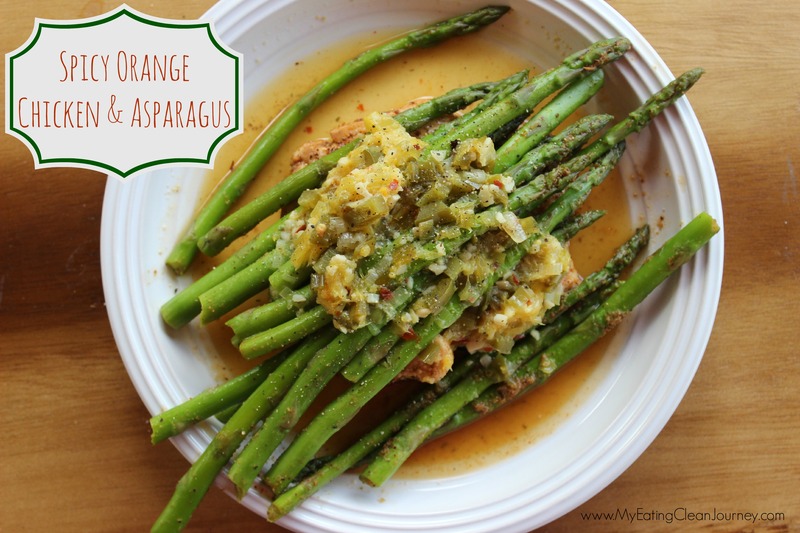 I have never had asparagus like this. I am putting it at the top of my list after I grab a bundle at the farmers market. Thanks so much Chrystal. This week has been a bit of a binge since I stopped the drops protocol. I’m back on track and realizing that only I have control over how I react to my cravings. Thanks for the link up! This sounds really great! Have you tried making your own ice cream using unsweetened almond milk and agave? I’ve got the general idea of clean eating, but not exactly sire what’s on the ‘no-eat’ list!